Announcement of New Temporary Location for New Chitose Airport (International Terminal)2 Fl. Our reception covers 100% of Japan You can rely on our high-speed data service anywhere in Japan. Can't speak Japanese? Not to worry! Our phone operators can support you in English, Chinese and Korean as well! Please call us anytime when you need us. 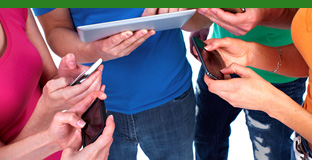 Enhance your trip with our mobile internet service. Use it anytime and anywhere. Using two or more devices? We recommend this! ★In case PDP type is required, please enter "IP". When starting up the web browser, the service registration page will show automatically. Please fill in the necessary information as instructed on the screen. You can check how much you have used and recharge from here. *Items offered, names and operation methods may differ according to your device model and OS. For more details, please refer to your mobile device's manual or send a direct inquiry to the manufacturer. ●You must complete startup procedures online within 10 days from the date of purchase. ●No returns or exchanges are allowed except for defects or malfunctions. Confirm with sales staff whether your device is compatible or not. ●You will need a separate wireless LAN to set up APN for more than iOS ●This service is provided only to customers that have purchased SIM (identity verification is required). ●This service can only be used with devices marked with the Certification of Conformance to Technical Standards logo that shows that it meets technical standards for specific wireless equipment. 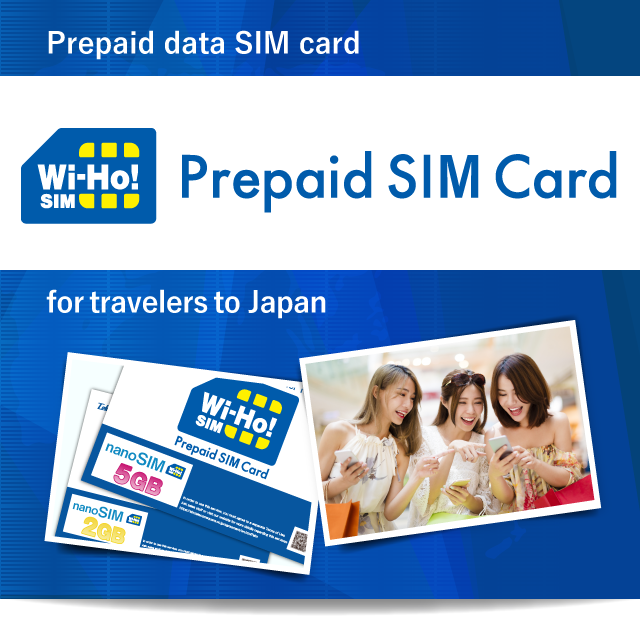 ●This SIM card is specifically for data transmission. It cannot be used for voice communication (phone calls may be made through calling apps). ●It is not necessary to return the SIM card, but as the SIM card is a rental item, you may be required to return it upon request. ●Service bills will not be issued. ●Additional purchases (recharging) can only be made by credit card. ●In the case the SIM card is lost or damaged, it will not be reissued. As a leading company in this industry, we have been providing customers with overseas mobile device rentals for more than 20 years. Adding to 20 owned counters at main international airports in Japan, we have recently expanded our business overseas, mainly in Asia. In other countries, we are commonly known as the rental Wi-Fi router brand "Wi-Ho!®" Our total accumulated number of users calculate to over 1 million people. We have expanded abroad through a tie-up project with travel service related groups/companies like the Japan National Tourism Organization, airlines, travel agencies, etc. ©2015 Telecom Square, Inc. All rights reserved.